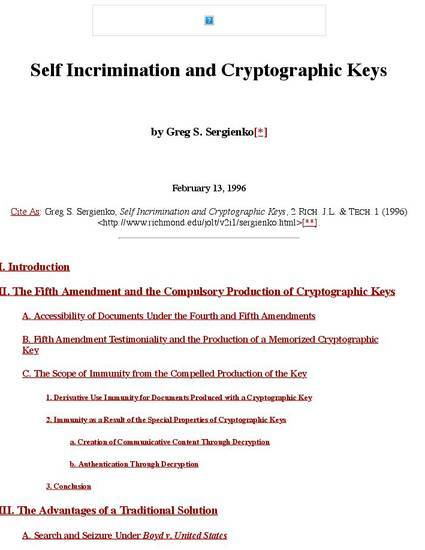 Greg S. Sergienko, Self Incrimination and Cryptographic Keys, 2 Rich. J.L. & Tech 1 (1996). Available at: https://scholarship.richmond.edu/jolt/vol2/iss1/3.